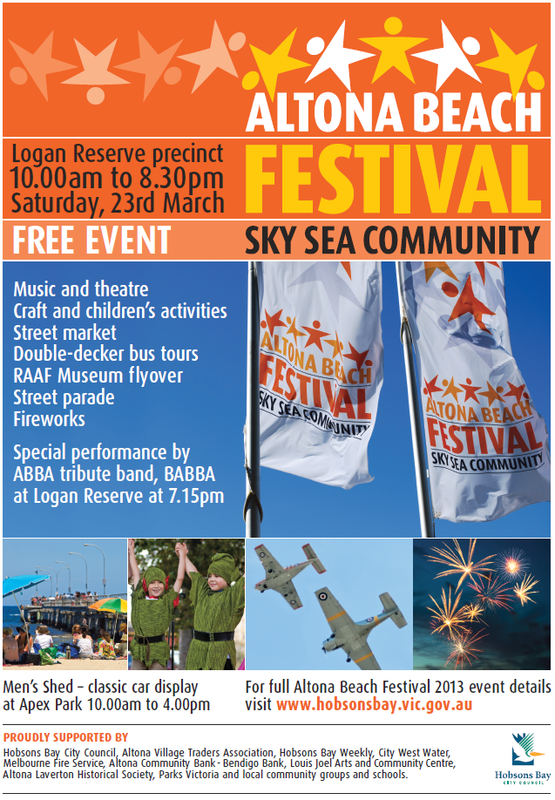 The annual Altona Beach Festival is coming again. 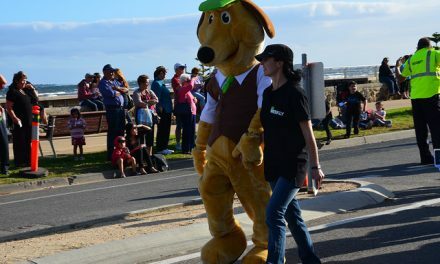 It will be held this Saturday 23rd March 2013 from 10 am to 8.30 pm. 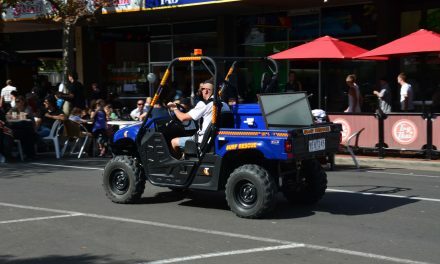 The main venue is at the Logan Reserve Precinct while the Classic Car and Bike Show is held at Apex Park. You can read about last year Festival here and about the Classic Car Show here. 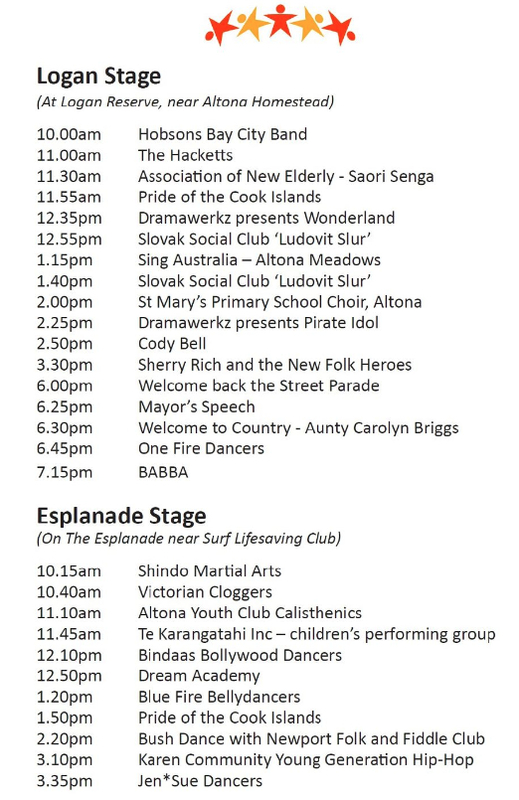 You can download a PDF copy of the 2013 Altona Beach Festival Program here. The map showing the locations for the various activities is embedded below. Click on the map’s maximize, zoom in/out and scroll buttons. 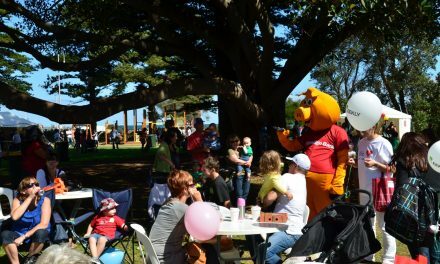 There will be two stages this year – one at the usual location in Logan Reserve, near the Altona Homestead and the other on the Esplanade near the Surf Lifesaving Club. The stage programmes are shown below. 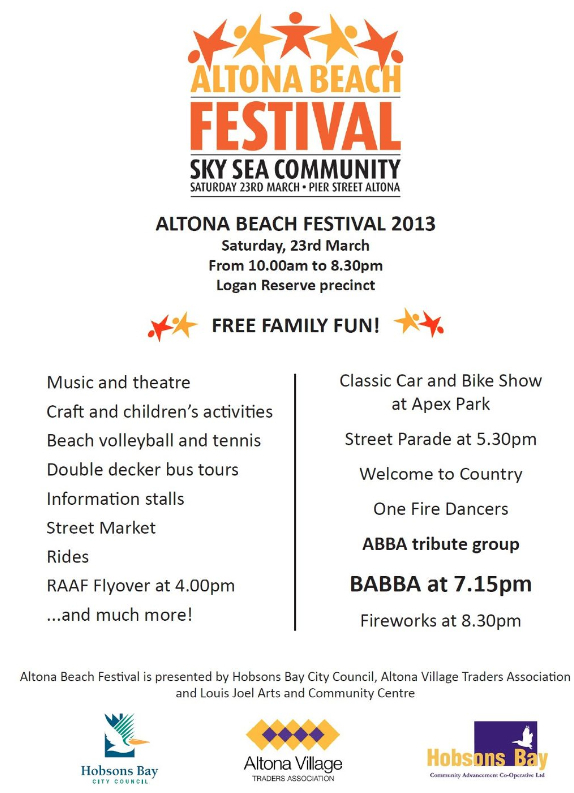 For further details, please refer to the official Altona Beach Festival 2013 Facebook Page.